Hi everyone, hope you had a merry Chirstmas! For the last issue of the year we bring a couple of MicroPython emulators, new book, cool projects, and more. And as always, feel free to share the sign up form. The Nominet Trust 100 celebrates the people and organisations who are using digital technology to change the world for the better. The German book "Micro:bit Praktikum" has been translated to English and is now available in ebook and paperback format. Initial experimentation with an artificial neuron controlling the Bit:Bot to follow the edge of a line. Creating a flashing lamp with a 24 neopixel ring, the micro:bit, and Micro Python. Using a micro:bit with an Android phone to create a Wildlife Camera. An example program for the MicroPython speech module and a good showcase of the create.withcode.uk emulator. 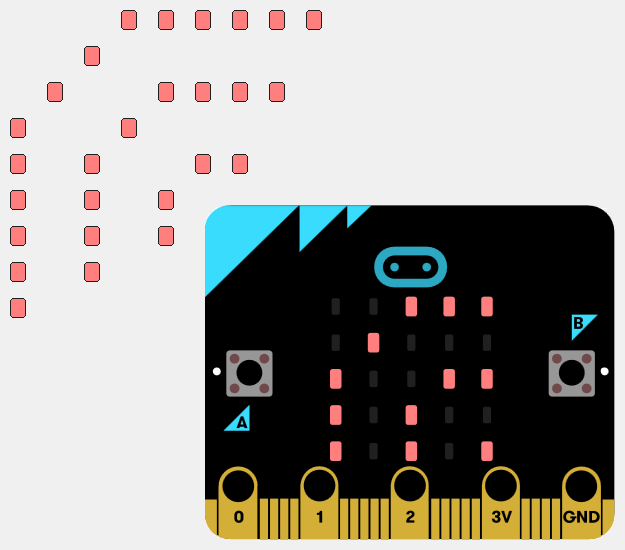 The Open Roberta Lab programming environment already offered MicroPython for the micro:bit and calliope, and their latest update now adds a browser emulator (youtube demo). A micro:bit being controlled from a web browser using a Bluetooth Internet Gateway running on a Raspberry Pi. It demonstrates a Bluetooth SIG standard API for interacting with Bluetooth devices using an HTTP RESTful API. Create custom menus on the pfodApp android app with pfodDesignerV2 to read and plot data from the micro:bit using Bluetooth. 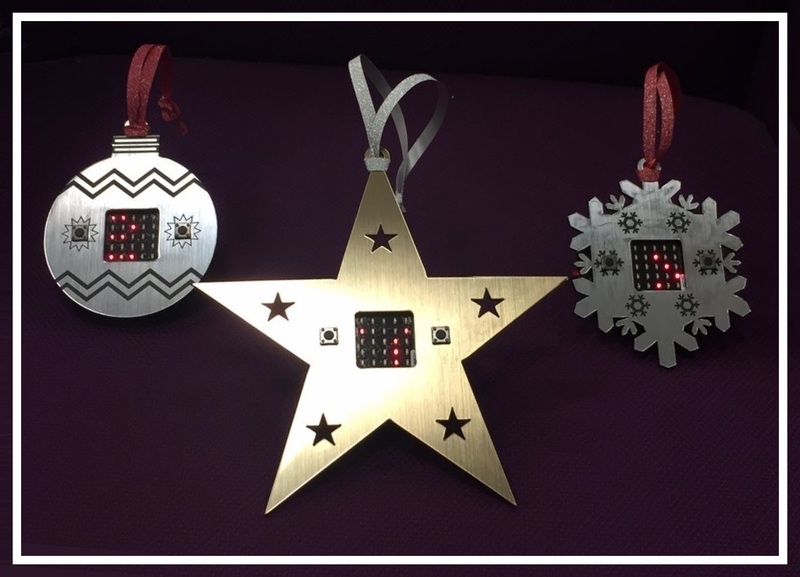 micro:bit ornaments image courtesy of Paul Freakley.